If you’ve been following our series of posts dedicated to covering the undeniably excellent Lush brand (reviewing everything from bath bombs, to shower, face, and hair products), you’ll know by now that Lush doesn’t do ordinary. No, Lush strives to do away with the conventional in favor of the exciting, creating products that accomplish necessary personal care tasks in exciting and inventive ways. In regards to its celebrated line of body products, Lush is no different – you’ll get more of the same in terms of excitement, effectiveness, and inventiveness. Regardless of your personal care body needs, Lush has it covered – deodorants, lotions, cleansers, hand and foot care, and even brand-exclusive products like Lush’s epic ‘body butters.’ In terms of category, it makes no matter, Lush gets the job done. 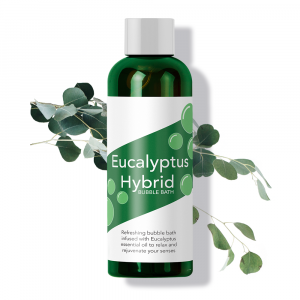 All of these different categories come together to form a body product line that is utterly comprehensive, as you won’t find a single body need neglected or overlooked by Lush. Looking for information on Lush’s body best? You’ve come to the right place! We give you a full run-down of Lush’s entire line of body products here in our new Best Lush Body Products Review! One of the best ways to keep your skin looking and feeling healthy, supple, and soft is by regularly applying an all-natural and effective body lotion. For use in and out of the shower and on hands, feet, and the entire body, Lush’s body lotions are handmade with organic ingredients and fragrances that improve scent as well as skin quality. Using cocoa and cupuacu butter, almond and argan oil, and rose petals for scent, Ro’s Argan leaves your skin feeling refreshed, conditioned, and invigorated. After a few weeks of regular, regimented use of Ro’s Argan, my skin’s health and appearance had tangibly improved, and it can certainly do the same for you. 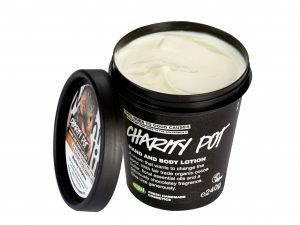 As we’ve touched on previously, Charity Pot is not just an effective body lotion, but one that represents an admirable charitable effort on the part of Lush! We’ll get to the lotion itself in a second, but first we’ll tackle the charitable element of the product. 100% of the price of Lush Charity pot is donated to various charities which work on such projects as environmental conservation, animal protection, and human rights efforts! This would make Charity Pot a worthwhile purchase in its own right, but it happens to be a world-class Body Lotion as well. Charity Pot uses ylang ylang, rosewood oils, cocoa butter, jojoba oil, and vanilla to craft a formula that is as pleasantly smelling as it is effective in terms of promoting skin health. If your primary concern is softening your skin and creating a smoother, more pleasant top layer, Lush’s body butters are an excellent option. Handmade with natural butters, fruits, and oils, body butters are aptly named for their ability to make skin as smooth as butter, thanks in large part to the butter included in their formulas. Made with exfoliating agents that help scrub away dead skin as well as soften skin, Lush body butters are available in two different forms, each of which provides a different but similarly effective skin-smoothing experience. 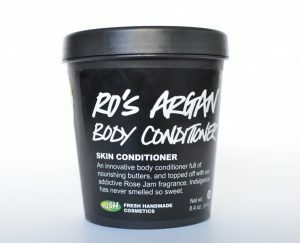 Use Lush body butter in the shower in order to help reveal your new, soft, and silky-smooth skin! You may not think that a coarsely textured bar could help to soften and smooth skin, but that’s exactly what ‘Buffy’ does for its users. Featuring rice, almonds, and beans, which act as exfoliators, Buffy scrubs away dead skin cells and existing irritants in order to let your natural, healthy skin shine through. Buffy boasts the ability to eliminate the need for body lotion, as the butters contained in the bar are capable of helping skin moisten, as well as retain moisture. Fair trade cocoa butter and shea butter are the ‘meat and potatoes’ in the Buffy formula, while lavender oil and lemon oil help to leave a pleasant aroma behind. 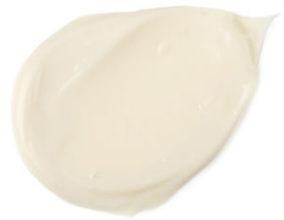 Unlike Buffy, King of Skin is all about the smoothness and softness – not unlike an actual stick of butter. With a unique formula that includes mashed bananas and avocados, oat milk, and lavender, King of Skin includes no exfoliating elements. As such, it works only to soften the layers of the skin which it is capable of reaching, and it undoubtedly does an excellent job of this. King of Skin works best when it is applied onto wet skin after washing – just apply to the desired area and let this beautiful body butter do its thing! Rose absolute, tangerine oil, and lavender oil help provide a pleasant scent and round out this carefully crafted recipe. One of the most integral parts of any personal care products line is without a doubt a shaving cream product category, and Lush has a great one. Unfortunately for consumers, most big-name personal care products manufacturers churn out shaving creams that deliberately foam as much as possible to create an artificial sense of cleansing and impacting the skin. This is unfortunate because foaming agents actually tend to dry out sensitive facial skin, and only serve to make shaving a more difficult process, as opposed to enhancing it like they should be doing. Lush goes the other way here, providing shaving creams which are designed to only make shaving an easier and more pleasant process. Lush’s shaving creams are typically handmade, all-natural, and fun – and the top Lush shaving creams are as follows! For a shaving cream that is fluffy, but not foamy, try D’Fluff! 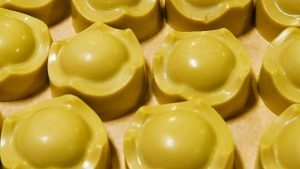 Lush loyalists keep coming back to Lush not only for the effectiveness of Lush products, but for the fresh takes on our boring old personal care rituals, and D’Fluff is a perfect example of this. 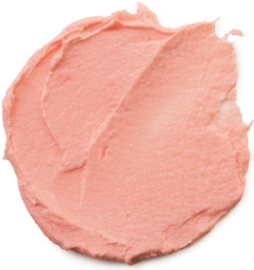 A pink-tinted cream, D’Fluff has a marshmallow-fluff like texture that is fun and satisfying to apply and use. The pink tint isn’t just aesthetic, as D’Fluff uses fresh strawberries to help achieve a safer shave and a more pleasant scent. Egg whites help achieve the fun formulaic texture, and fair trade cocoa butter leaves a moisturizing effect that helps with the shaving process, as well as works to reduce post-shave redness. Fighting stubborn stubble? Unruly 5 o’clock shadow? Tough beard hairs? Lush’s ‘Dirty’ just might be the shaving cream for you. Lush calls this shaving cream ‘luxurious’, and it’s hard to argue with this assertion after experiencing its powerful yet softening effects. 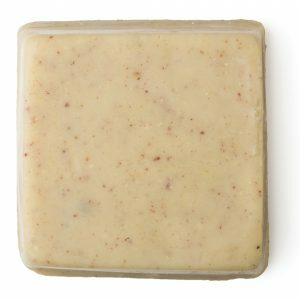 Using oat milk, shea butter, and honey in order to calm sensitive skin, Dirty is perfect for those of you who can’t seem to ever achieve that perfect, smooth shave. If you’ve been looking for a go-to shaving cream that is powerful enough to bring you a clean shave but gentle enough to keep skin feeling and looking fresh, look no further! If you’ve been following our series of Lush features, you might have noticed our piece covering Lush facial products, and more specifically, Lush facial cleansers. Well, it just so happens that Lush facial cleansers and Lush body cleansers are one in the same category! Using only natural ingredients and turning away from commonly used synthetics and artificial fillers found in the cleansers of more mainstream companies, Lush cleansers brighten and invigorate skin while cleansing, leaving a totally renewed and healthy glow. Cup O’ Coffee, Dark Angels, Ocean Salt, Mask of Magnaminty, and Herbalism are just a select few of the many popular Lush facial cleansers – visit a Lush store today and find out what works best for you! An often neglected element of skin care is that of caring for the skin on our hands. We do virtually everything with our hands, so it’s only natural that Lush has our hand skins’ best interests at heart with this unique line of hand care products. While other Lush skin care products are designed to enhance the face or the body, Lush Hand Care products are specially made to target our hand skin, which is often tougher thanks to the heavy use that our hands see in day-to-day life. From masks, to scrubs, to creams, to butters, to lotions, you’re not going to find a more extensive line of products to care for your hand skin than you will at Lush. Golden Handshake isn’t for maintenance or regular use – it’s a full-on hand treatment that works more like a mini spa for your hands than it does a mask. The hand mask is placed in a bowl of hot water and given time to melt and thicken, after which point your hands are submerged into the creamy lotion for 15 minutes. Your hands will feel brand new once you pull them out from their bath! Golden Handshake uses fresh cupuacu and murumuru butter, almond, avocado, and argan oil in order to help clean and refresh your hands like they’ve never been refreshed before. Lush offers bars for your hands, bars for your body, and bars for your hair, so why not bars for your feet as well? Pumice Power helps to eliminate the rough layer of dead and dying skin on your feet to reveal the soft, new skin underneath. The pumice powder contained in the bar exfoliates the dead skin in order to achieve this effect. Sweet orange oil in the formula helps freshen, cleanse, and strengthen the skin, and coconut oil helps to achieve smoother, softer skin. 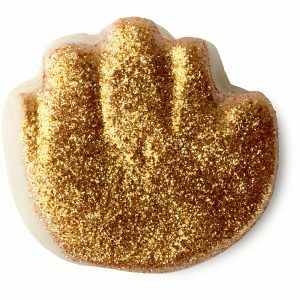 Like the Golden Handshake hand mask can do for your hands, Foot Soak and Fancy Free can have you feeling like you’ve got a brand new pair of feet! 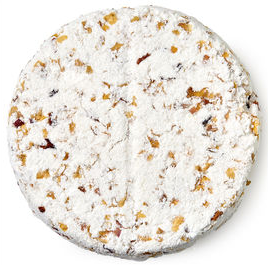 The definitive Lush foot soak, this rice cake-like chunk of minerals and oils reacts with warm water to fizz and dissolve, releasing lavender oil, jasmine absolute, fine sea salt, and more, which work to freshen, invigorate, and cleanse your feet. Just one treatment will have your feet in the best shape of their life, but you’ll be sure to come back to Foot Soak and Fancy Free before long – it’s just that satisfying. Although not quite as extensive as their other Lush body product lines, Lush does produce several more categories of products designed to shore up the rest of the body’s needs and wants. Lush Massage Bars such as Wiccy Magic Muscles, Hottie, or Shimmy Shimmy put a new spin on your typical massage experience and provide therapeutic effects. Lush Body Tints such as Goth Fairy and Black Stockings can give your skin a different tone in a safe and natural way. Lush Deodorants come in either bar form, like the Aromaco deodorant bar, or in powder form, like The Greenich. Finally, Lush Dusting Powders are delightfully fragranced and sensualized in order to keep skin feeling fresh, smooth, and frisky. 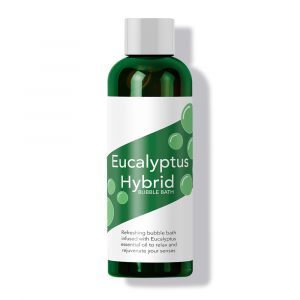 Check back for more Lush product features here at Maple Holistics! Lush body products make up yet another part of Lush’s enormous catalogue of products, all of which are all-natural and designed to bring fun and effectiveness to your personal care routine. Regardless of your skin or personal care makeup or needs, it’s impossible to think of a person who couldn’t find something or somethings in the Lush line that they could stand to benefit from – start trying Lush today to have yourself a Lush life!